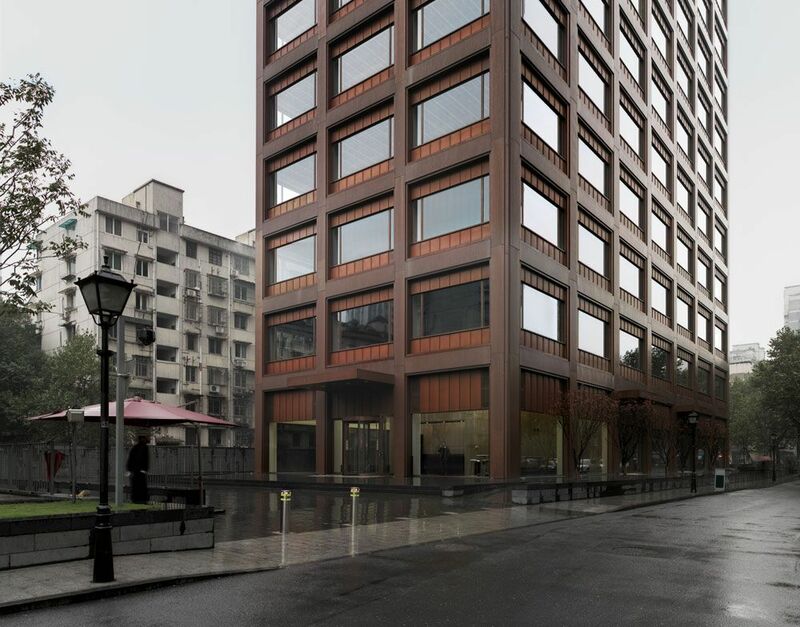 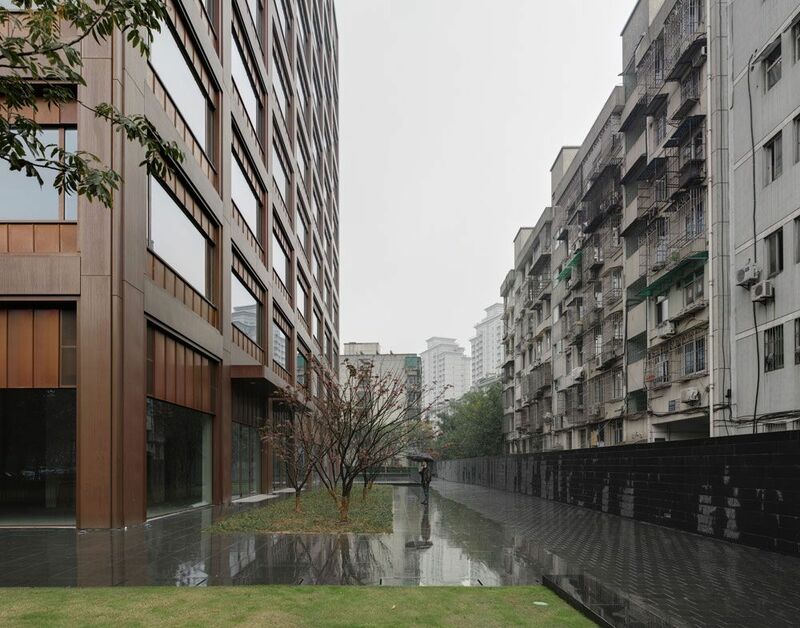 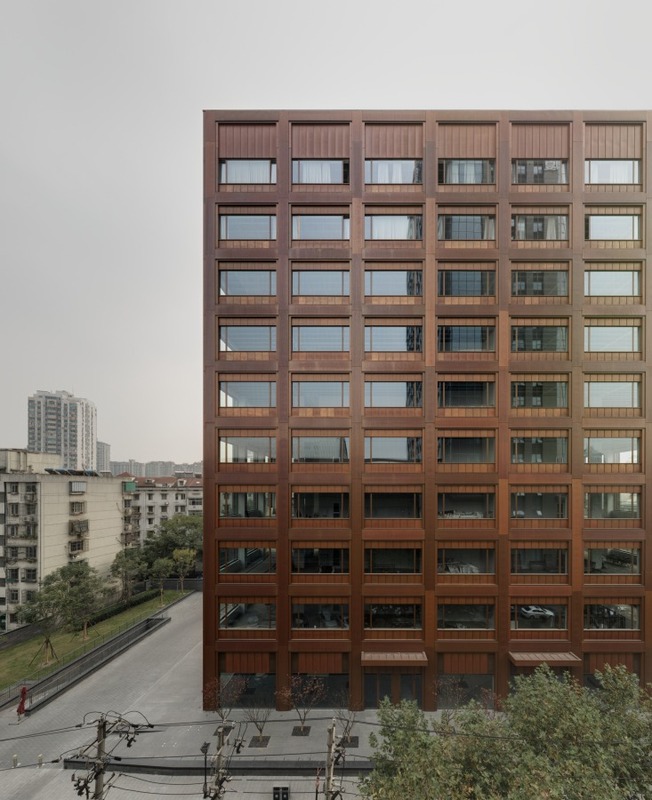 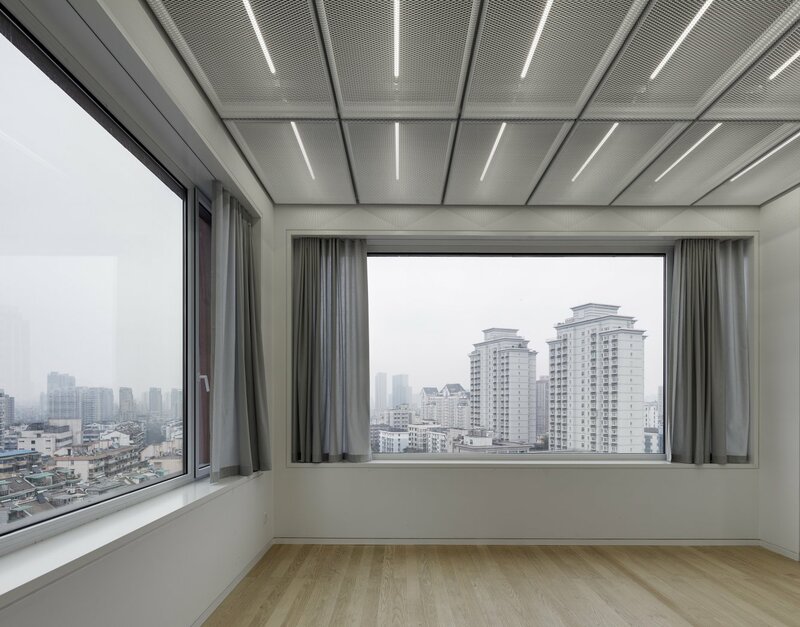 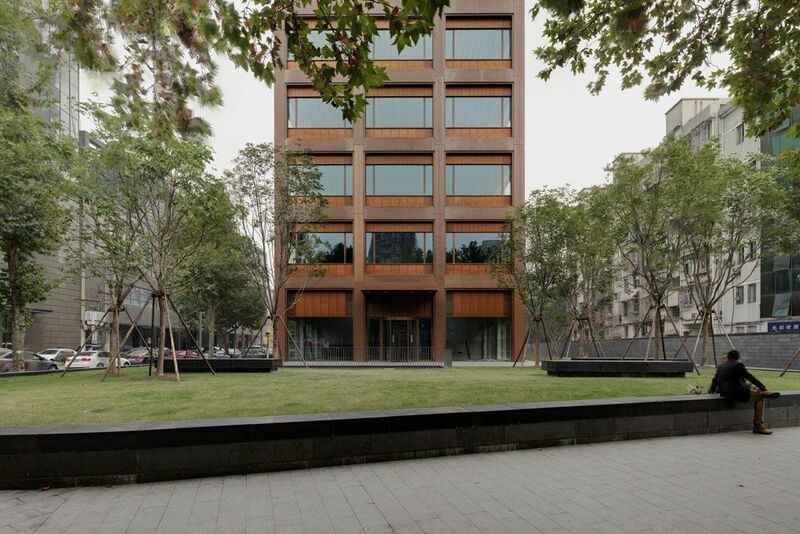 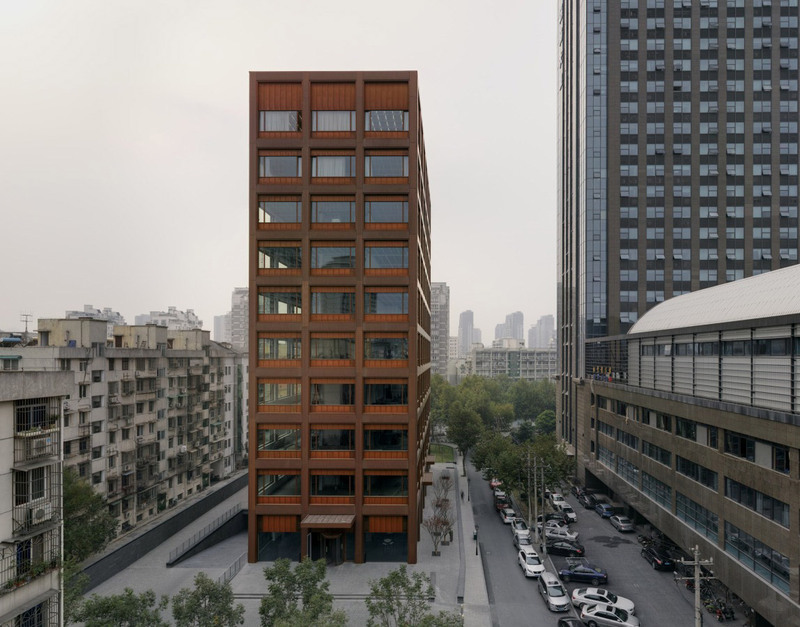 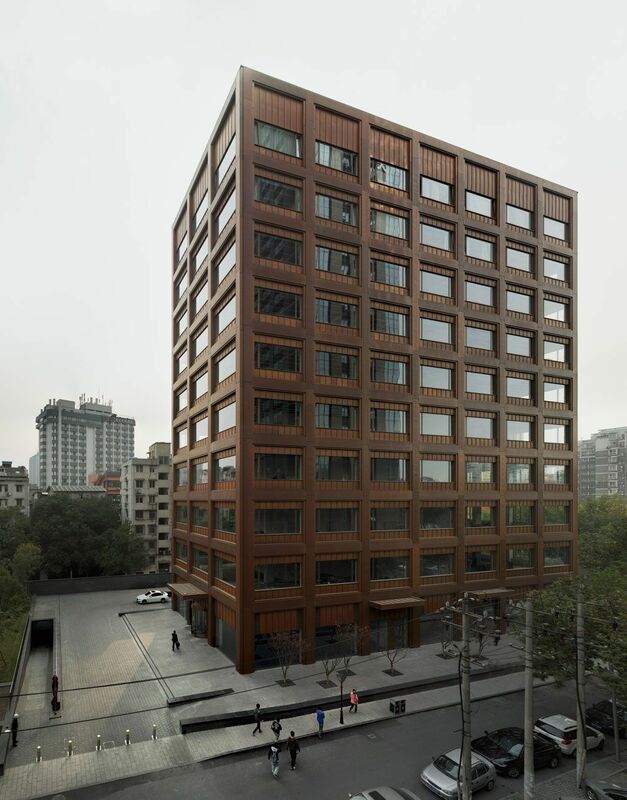 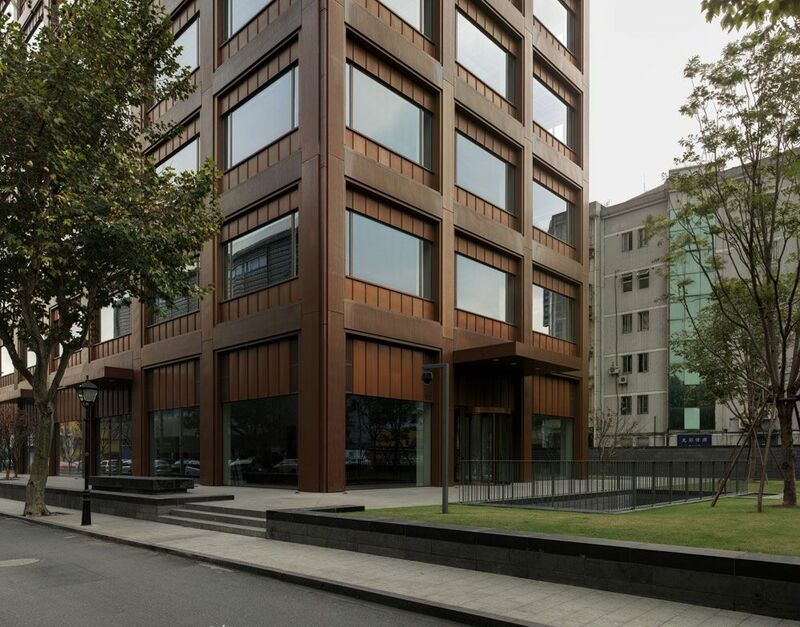 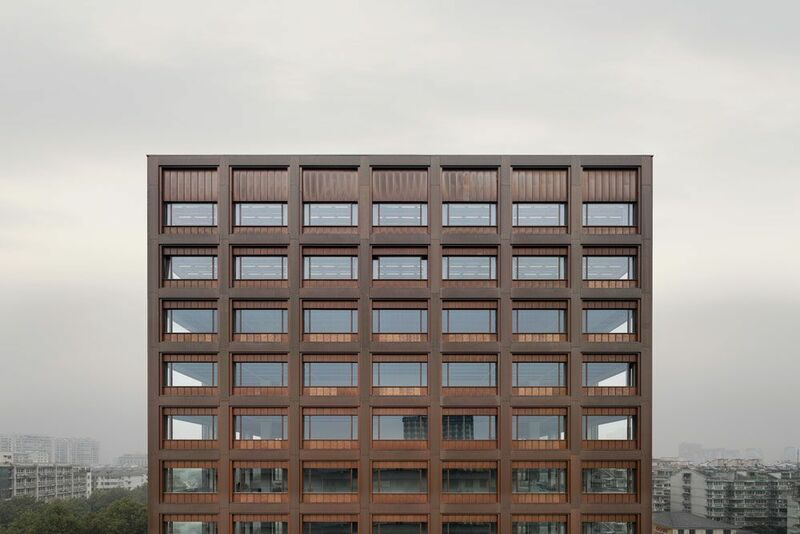 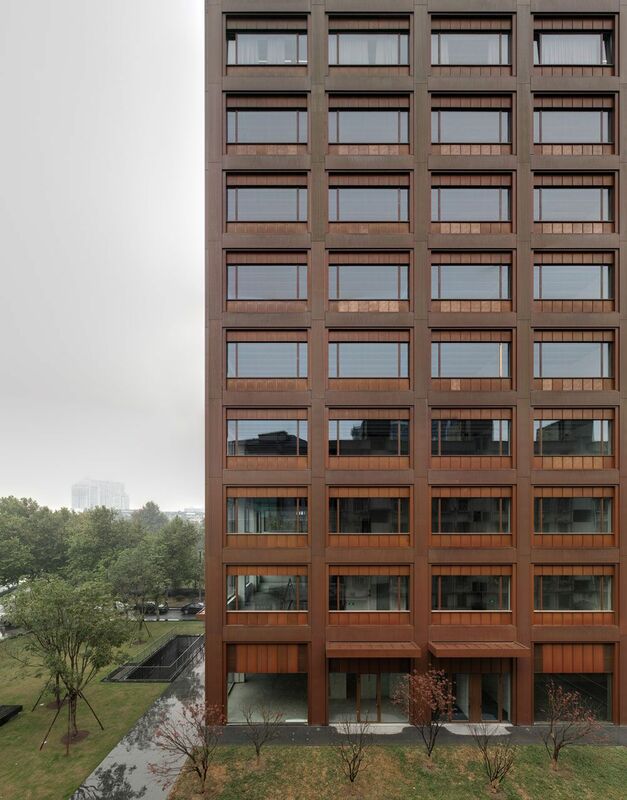 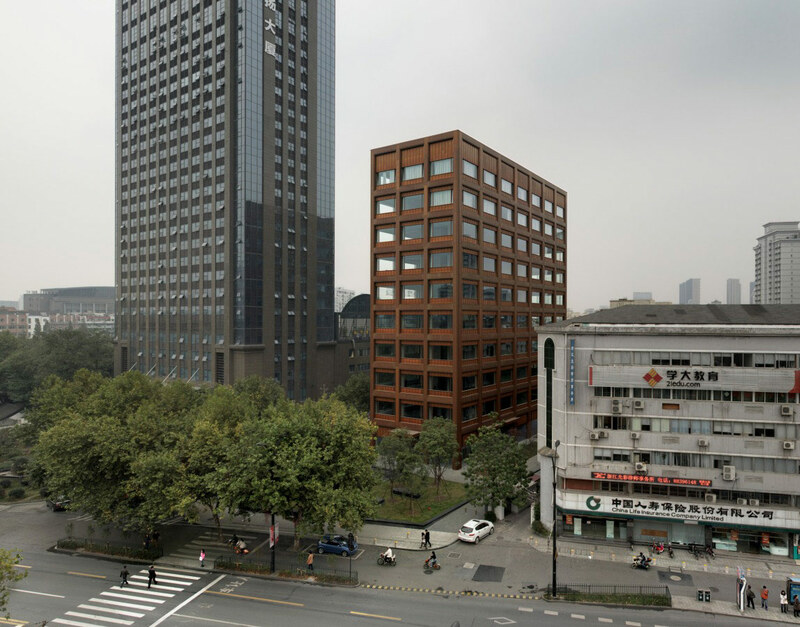 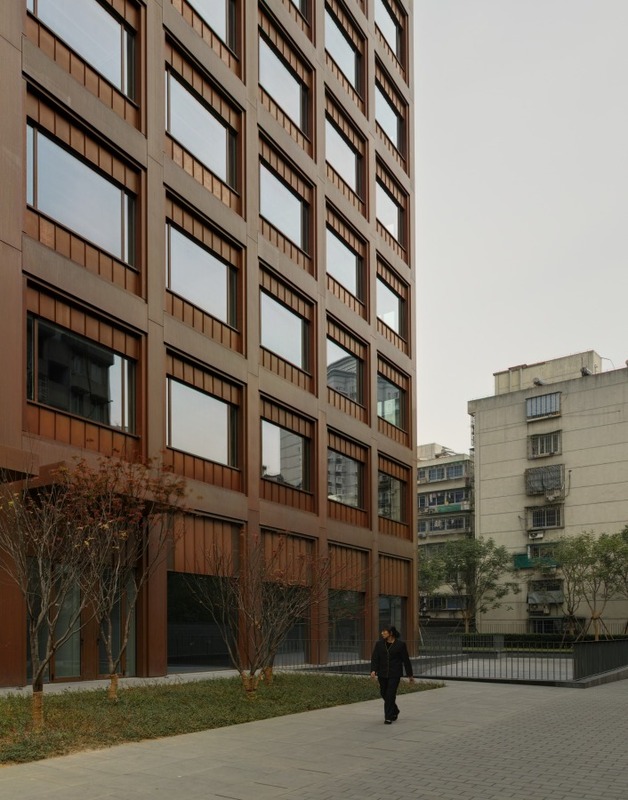 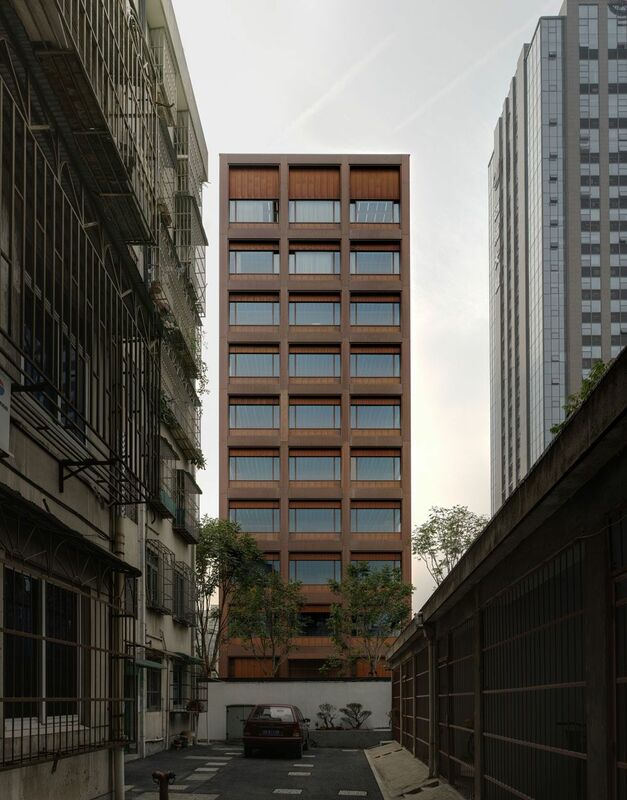 The ten-storey office building is located in a diversely built area on Moganshan Road near Hangzhou’s tranquil Shuyhan Park. 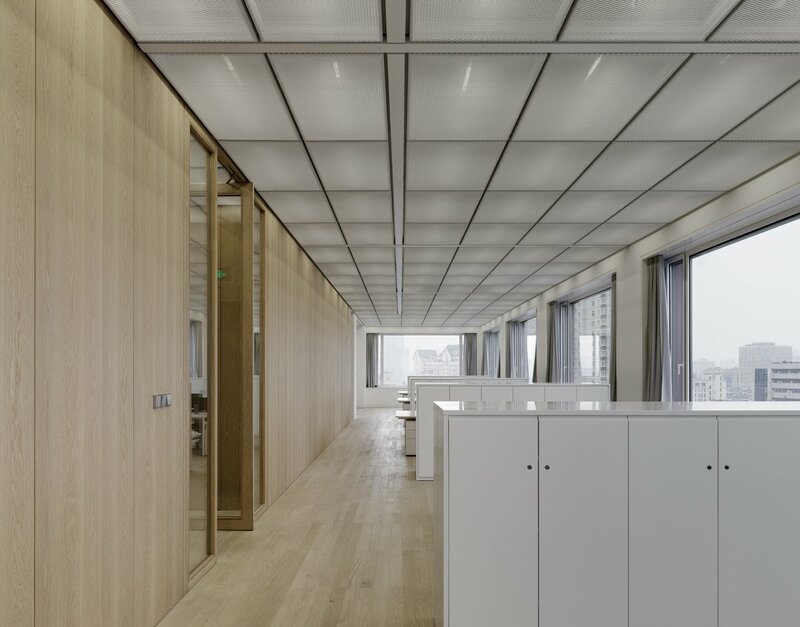 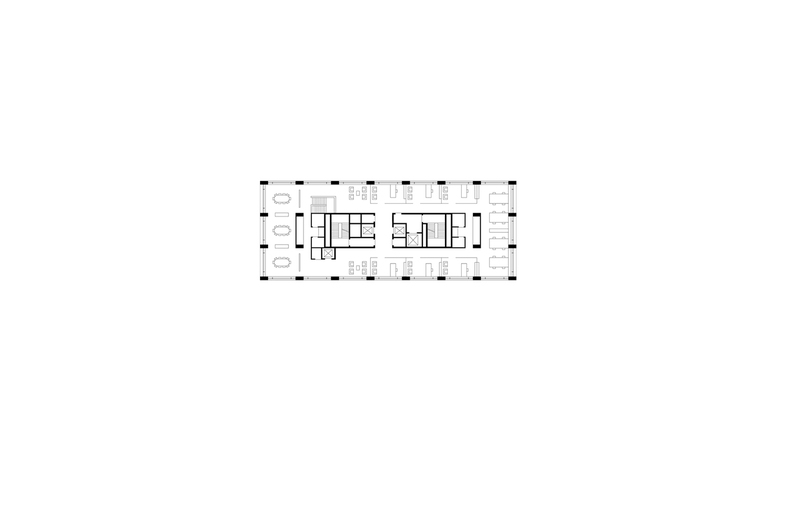 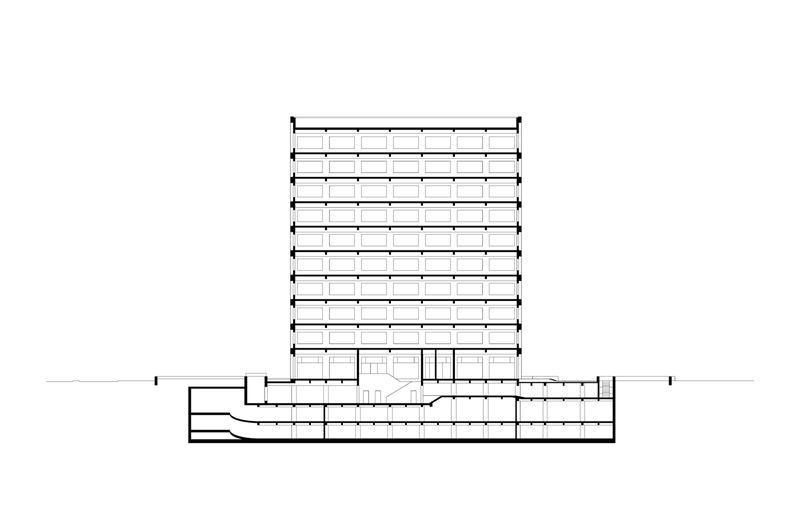 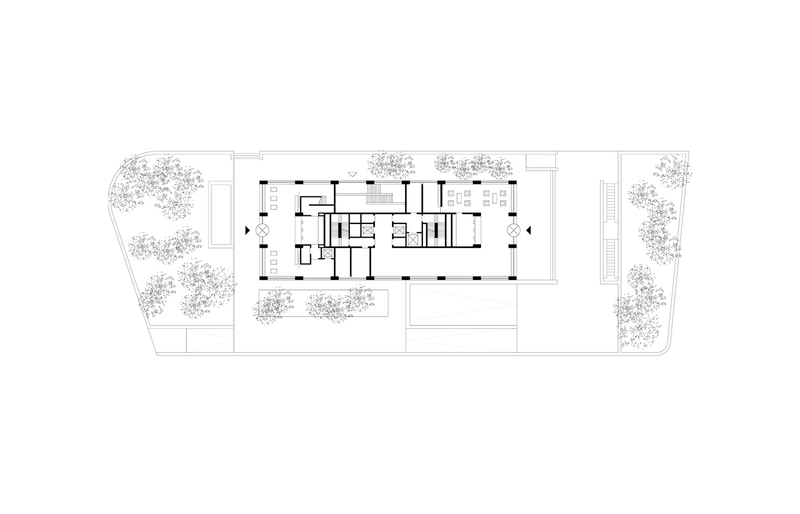 Within this dense context the new building asserts its object-like presence with a clear geometric form. 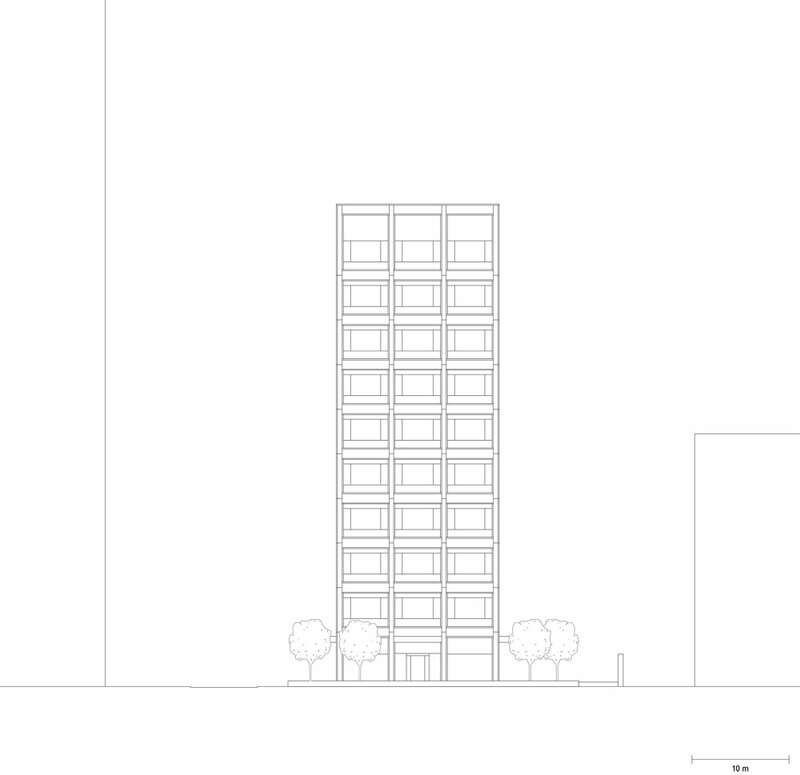 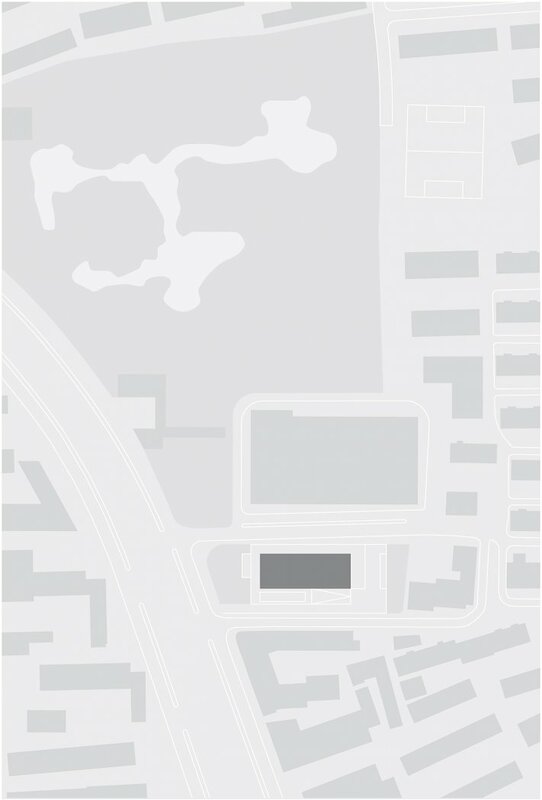 The positioning of the slim building in the middle of the site provides spatial distance to the neighbouring buildings. 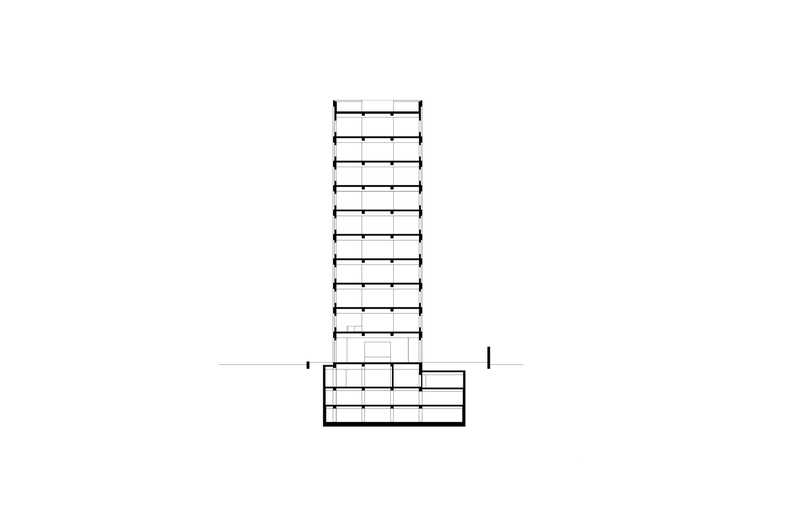 The volume is placed above street level as if on a stage. 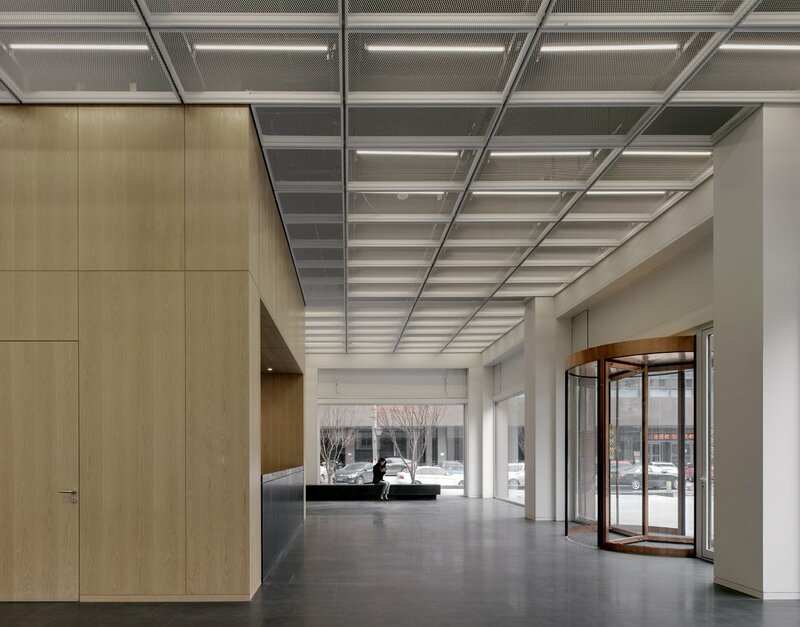 The raised level and the modulation of the surrounding exterior spaces allow for diverse transitions from the city into the building. 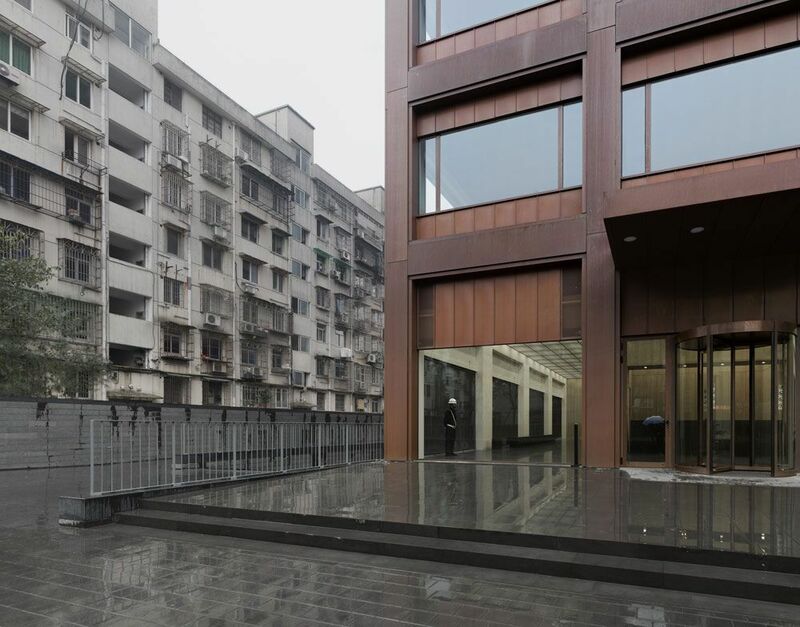 All stone surfaces of the exterior topography are crafted from the same matt grey basalt.